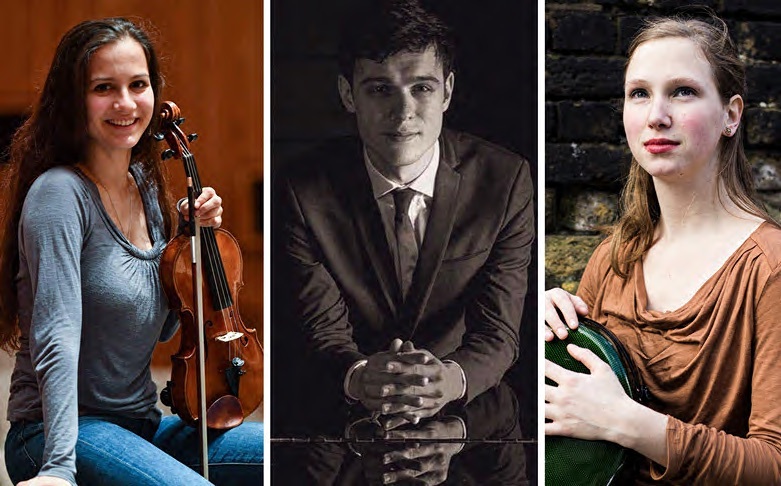 The Chloé Piano Trio was formed in 2017 at the Royal College of Music. Their programme includes Clara Schumann’s delicate Piano Trio, op. 17 (celebrating the 200th anniversary of her birth), as well as a trio by her great friend and supporter, Felix Mendelssohn (op. 66).